Al Talaq, Breeze, Thriller, Protector, Darkness, It’s in God’s hands, Lavender, River in Paradise… Imagine going through life with names like these! 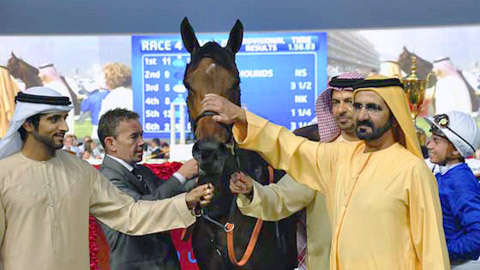 They are all devised by Arabian Sheikh Hamdan Bin Rashid Al Maktoum for his racing horses. Of course, these are translations of their real names: Al Haarth, Haafhd, Dayur, Al Mutawakel, Al Bahathri, Salsabil… If you ever wondered whether those kind of names are picked randomly: they are not. Sheikh Hamdan names his horses like a brand builder names his brands. Usually, both brand builders and horse owners spend many hours of research – and serious amounts of money figuring out what kind of brand/horse they’re dealing with. What does it represent? The name needs to fit the identity: it sums up what the brand/horse stands for. It’s all in a name. The names chosen by the Sheikh are the ones that fit him and his horses to a tee. 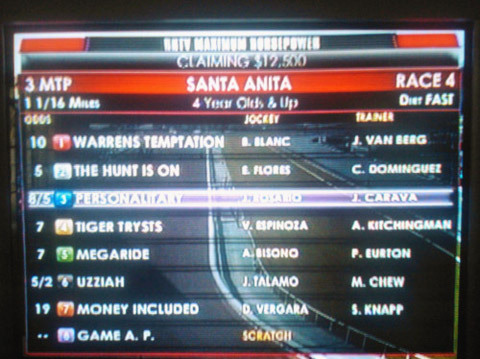 The names have to be in harmony with the horses’ character and their ability to be the fastest one on the racetrack. “Al Bahathri” (aka ‘Lavender) was the Sheikh’s first ‘star horse’. “Salsabil” (‘River in Paradise’) has also won numerous competitions: the Sheik knew from the start that that particular horse would win him a lot of races. It was a special one, from day one, which is why it got a special name too. Who knows if his prided horses would have done as well with a different name? You could ask the same question about brands: would Nike have been just as strong a brand if its name had been Umbro? Sheikh Hamdan always picks out Arab names, he only makes an exception for horses that already have an English name when they are purchased. His faithfulness to his language has multiple reasons. He does it to bolster the Arab language, but also because Arab names are easy to remember and are quite unique. Plus they also often match the horses’ heritage. In the brand building world, a name is never picked lightly. Some Dutch and English brands knowingly pick a Dutch name, while others go for an English one to complement their international aspirations. If you want to break through internationally, you have to take a lot of different factors into account. In some countries a certain word may have a positive ring to it, while in others it could mean the exact opposite. 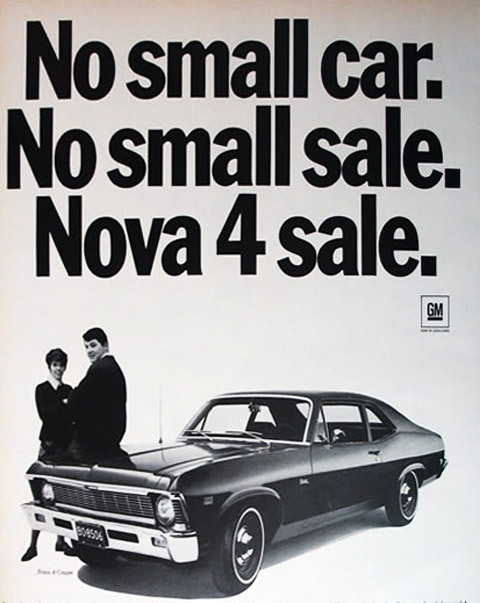 A famous example is the way Chevrolet missed the mark when they named their new car the “Nova”. The Spanish-speaking market wasn’t too impressed, since ‘No Va’ is Spanish for ‘Doesn’t Work’. Which is a quality few people look for in a car. Names of brands and horses alike are the result of intricate procedures and regulations. Brandhome has developed a ‘naming process’, taking all of this into account while also taking a little peek at what the competitors have done. Based on these results, a whole list of names is put together: the long list. This list is reviewed internally in order to create a shortlist for the client to discuss. After all of that, a top three is selected that still needs to pass through all the legal checkpoints (“Has this name been used before? Can it be registered?” etc). The same goes for horse names (except for the fact that those needn’t be original): the sheik also needs to register his horses’ names with strict committees (such as the American Stud Book, the British Horseracing Authority, the Emirates Racing Authority’s Registry Office). More often than not, they want to know the meaning of the names, so the Sheikh has to provide English translations as well. Of course, being a Sheikh has its advantages compared to being a simple brand builder. One time Sheikh Hamdan wanted to change a horse’s name but the committee wasn’t having it. So he told them he’d leave the horse in its stable until it died, forcing the committee to bow to his will. He got to rename his horse. Just like brands collect a lot of naming alternatives, so does Sheikh Hamdan. Especially since a lot more people are trying to come up with the perfect name for their horses, following in his example. All of these new players aren’t making matters easier for the Sheikh, because there’s nothing worse than picking the same name as one of your competitors. So he also draws up long lists of spare names, which often amount to 600 names. All to come up with one single name. Successful brand names live on years after the pioneer’s death. The same goes for successful horses. The animals may not live forever, but their names never die. What about your brands? Do they get buried alongside their creator, or will they turn out to be immortal?